LPM Holding Company, Inc. is a family owned and operated hospitality management firm with accounts in nine states. Our main foodservice division, Epicurean Feast Cafés, owns the largest business and industry market share in New England with accounts in 9 States. Our corporate headquarters are centrally located in Maynard, Massachusetts with management teams positioned strategically throughout the Northeast. Our offices house a full service commissary and infrastructure designed to provide financial services, administration, information technology, marketing, multimedia and staffing to support and assist remote dining operations. 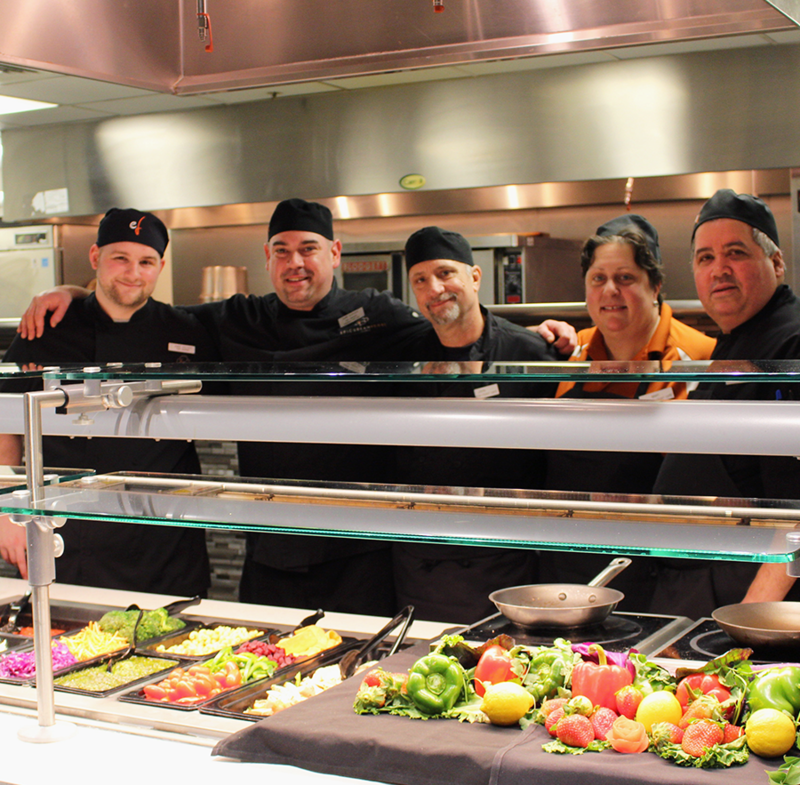 Our customers expect the best from their foodservice professionals every day and we know it. That's why we believe in hiring great people who value their job and their relationships with co-workers, associates, and customers. We believe that when we hire people with integrity and strong values it transcends our entire business and results in exceptional service to you. LPM Holding Company and our Affiliated Companies have a commitment to move forward with providing cage-free eggs, liquid eggs, and pre-cracked eggs to our customers who seek this product. We are working with suppliers to meet customer requirements everyday and plan to fully provide this product, working in conjunction with our suppliers, we are hopeful no later than 2019. Developing a sustainable business is integrated into our culture and is expected of every supplier and associate we work with. As a responsible corporate company we take animal welfare seriously and are helping to change practices throughout the foodservice industry without compromising our environment and society. Partnering with our suppliers, clients and customers regarding environmental, sustainable, and humane issues, we can have a greater impact across the food supply chain. This is an everyday priority in our company. Our commitment to working with local, regional and national suppliers to ensure we have the types of products our customers need is constant. We recognize the sensitivity of this issue, and want to reassure all of our clients and associates of our priority to use cage-free eggs in all customer operations. Thank you for your understanding, support, and continued patronage.